2018-06-25 "Rossa" have 2 brown female puppies born 9/6 2018, both are reserved. 2018-05-04 News on page Puppies/We are expected puppies. Mylabs Snow Star Rossa “ Rossa” is mated, brown puppies expected week 23. Mylabs Wildflower “Surfa” is mated, brown puppies expected week 26. News page links/Mylabs hundar Facebooks page. 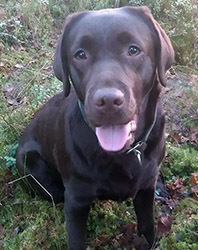 Photos and videos of dogs from our kennel. Information about upcoming litters will be added there as well. 2017-05-17 Litters/Elviskullen - puppies have got their name. 2017-05-12 Rossas puppies are born 4 april 2017, 2 males and 5 females - all spoken for. New page/Litters/Elviskullen - puppies names coming soon. Some of the old dogs have moved to the rainbow, Heavy Loader's Matrix Reloaded "Laban", Mylabs Saga Brown "Nelly" and Svch Mylabs Tropical Rusa "Rusa". 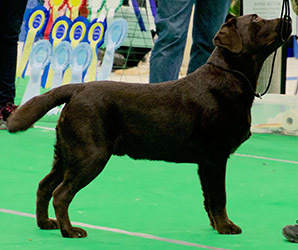 News on page Puppies/We are expected puppies. 2016 ended with 6 new wild track champions. 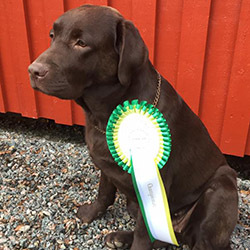 Big congratulations to the 4 sibblings Tela, Alma, Gösta and Surfa and their owner to the new titel SVCH. 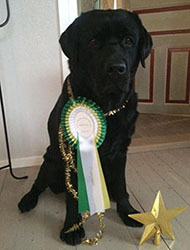 Big congratulations also to Basco and Leo and their owner to the new titel SVCH. 2016-11-21 My homepage have a new adress www.mylabskennel.se . We are planning 2 litters 2017, 1 brown and 1 black/brown. News in the Gallery/Album 3. New page Our Litters and Our dogs. New photo on Index and Intropage. 2015-07-30 Puppies is born 27 juli 2015, 4 brown males and 5 brown females. 2015-07-03 Brown puppies expected week 31, more on page Puppies. 2015-01-26 No puppies this time. 2015-01-09 We wish everyone a good 2015! 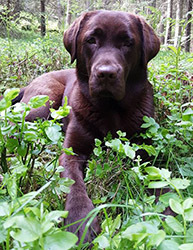 2014-12-21 Intro and Puppies page - Photo of Bruno - Father of Rossas puppies to be. 2014-12-18 News intropage - We wish everyone a Merry Christmas and Happy New Year! We expecting puppies week 6/more info page Puppies. Svch Mylabs Nutty Solera "Natti" have moved to the rainbow. New photos/Gallery/Album 2. New photos of Rossa/Our dogs. 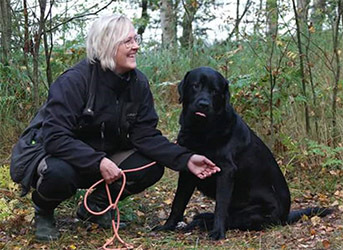 2014-03-11 Mylabs Snow Star Rossa is now on page Our dogs. New page Rainbow for our lost friends. New photo in the Gallery - Album1. 2014-03-08 Cayenne`s puppies is born, read more on page Puppies. News page Gallery, Album 1. 2014-01-15 News page Contact - New e-mail address. 2014-01-13 Our homepage have been updated and is now on a new server - please see our new URL http://mylabs.eu.pn . News on page puppies. 2013-09-06 Litter Chas Lars Min Buse – Mylabs Milky Way Cassiopeia - no puppies for delivery. 2013-05-21 One black male puppy born on February 15th is still available. Read more on Puppies page. 2013-02-21 Puppies born on February 15th. Read more on Puppies page. 2013-02-03 Puppies are expected in week 7, read more on Puppies Page. 2012-02-11 Puppies born on January 25th. Read more on Puppies page. 2011-12-20 Puppies are expected in January, read more on Puppies page. 2011-02-02 Photos of Peia's puppies, on Puppies page. 2011-01-22 Puppies born on January 13th. Read more on Puppies page. 2010-12-06 Puppies are expected in January. Read more on Puppies page. 2009-09-07 Photos of Smilla's puppies, on Puppies page. 2009-08-03 Rikka and Mackan's puppies have all left to their new homes. Puppies are expected in week 32, read more on Puppies page. 2009-06-20 New photos of Rikka's puppies. 2009-05-31 Puppies born on May 28th. Read more on Puppies page. 2009-04-14 Puppies are expected in May, week 22. Read more on Puppies page. 2009-01-01 No puppies are expected in January. 2008-12-05 Puppies are expected in January, read more on Puppies page. New photo of Rikka's puppies. 2008-11-17 New photos of Rikka's puppies, check Puppies page. 2008-10-26 Puppies born October 23th. Read more on Puppies page. 2008-09-29 Puppies are expected week 43, read more on Puppies Page. 2008-03-24 Puppies are born on March 14th. Read more on Puppies page. 2008-01-27 Puppies are expected in the Middle of March, read more on Puppies Page. 2007-11-21 Picture of Rusa and her puppies, check Puppies page. 2007-11-17 Puppies are born on November 14th. Read more on Puppies page. 2007-10-13 New photos of Spela and Peia. Puppies Page updated with photos. 2007-10-01 Puppies are expected week 45, read more on Puppies Page. 2007-08-17 New photos of Neo ... and finally Laban got his own page. 2007-02-25 Ina's puppies have arrived. Read more on Puppies Page. 2007-01-28 Puppies are expected in February, read more on Puppies Page. 2006-11-28 Photos of Natti's puppies, look here! 2006-11-05 Natti's puppies have arrived. Read more on Puppies Page. 2006-10-08 Puppies are expected in November, read more on Puppies Page. 2006-03-22 Rusa's puppies have arrived. Read more on Puppies Page. 2006-01-14 Brown litter are expected at the End of February. Read more on Puppies Page. 2005-12-04 Puppies are expected in January, read more on Puppies Page. I have taken pictures of all my dogs. 2005-10-31 More pictures on our dogs. 2005-10-10 Puppies are expected in November, read more on Puppies Page.